Over 28% of greenhouse gas emissions (GHG emissions) come from transportation. The emissions from the combustion of fossil fuels, like gasoline and diesel, in internal combustion engines cause most of these GHG emissions. 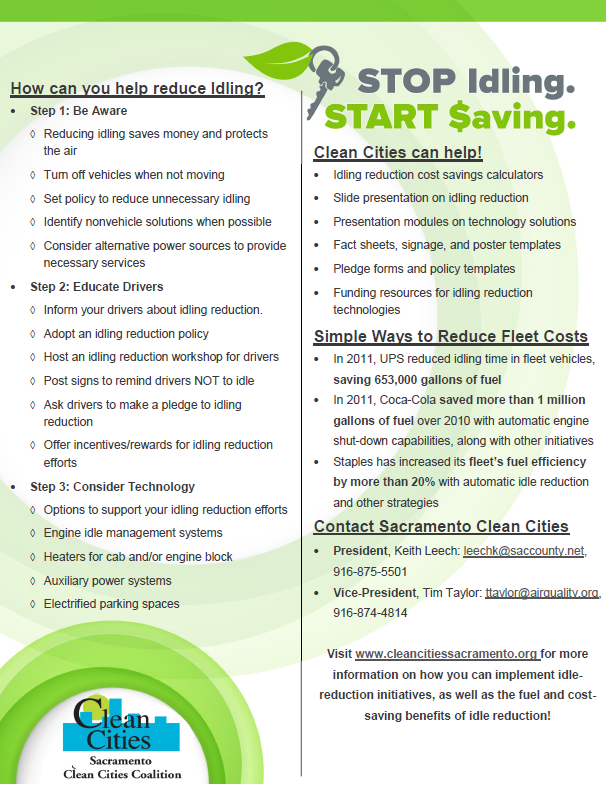 Idle Reduction is just one way to help reduce these emissions from transportation. Almost 4,000 tons of GHG emissions were reduced in 2013 due to idle reduction programs alone. 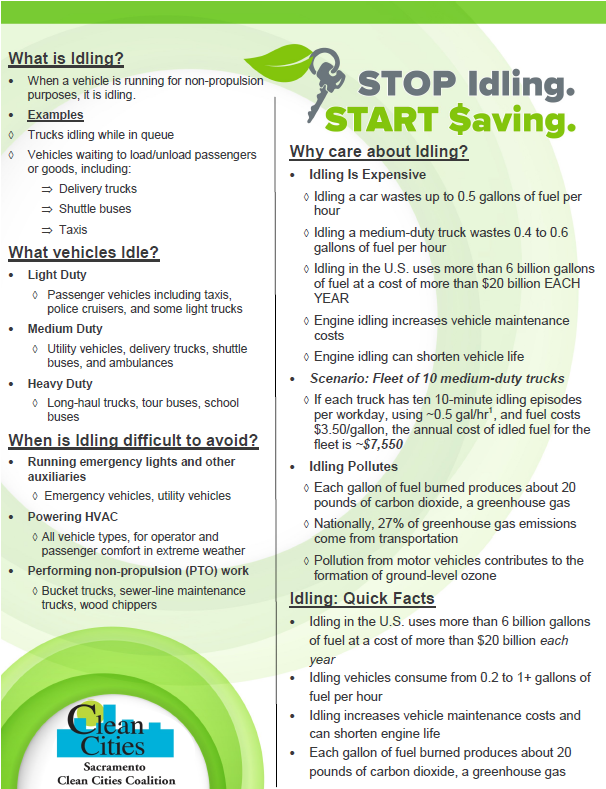 Check out our printable fact sheet HERE to enhance awareness about idling and ways you can prevent it!